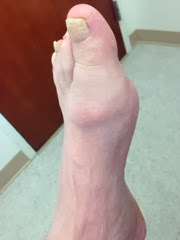 Here is an example of a foot with hallux limitus. All that means is that the great toe joint does not bend as normal due to the arthritis that has formed in that area. Here is an x-ray that shows an example of this arthritis. You can see on this x-ray that the bone spur has been removed. That is one of the treatment options. 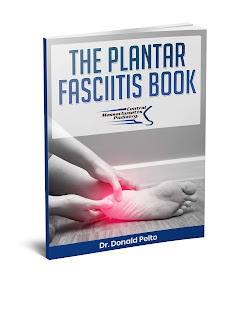 If you want to learn more about treating this condition here are some more resources.